Blood Draw at the 2009 USASA Nationals…please take advantage of this wonderful opportunity! Toby's Foundation asks you to please support the combined efforts of USASA and ASHGI this year at the USASA Nationals at Purina Farms, Gray Summit, MO May 1st – May 8th by participating in the health screenings and blood draw being offered. In particular, Toby's Foundation asks you to please donate a blood sample for Dr. Ned Patterson's Epilepsy Research Project at the University of Minnesota. The blood draw will take place on May 4th. For more information please visit the USASA website at www.australianshepherds.org and click on the Health and Genetics Events Information and ASHGI at www.ashgi.org/nationalspecialtyclinic.htm. Forms for this event are available through ASHGI. Be sure to have the necessary forms with you…. dog questionnaire, consent form and pedigree. HURRY…the deadline for pre - registration is April 27th to make sure there are enough kits on hand for the blood draw. The blood draw for Dr. Patterson’s epilepsy study at UMN is being offered at NO COST to you so please don’t miss out on this opportunity. 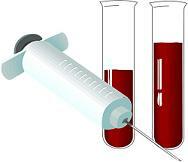 Blood samples from affected dogs are needed and if you have a dog related to an affected dog please donate a blood sample. In addition, blood samples are needed from dogs age 5 yrs. and older who have never had a seizure. These dogs are needed as controls and DO NOT have to be related to an affected dog. The University of MN research project for the Australian Shepherd breed has been made possible through the combined efforts and donations of USASA, USASFoundation, ASHGI and Toby's Foundation. Please continue to help us collect blood samples and raise funds for this important research to find the genes responsible for canine epilepsy and develop a screening test for this disease. For more information on this research project please visit our website at www.tobysfoundation.org and click on our research page and blood sample submission page. If you are unable to attend Nationals, please send your dog's blood sample directly to Dr. Ned Patterson at the University of Minnesota . Forms and instructions to do so are available on our website. Please see the link below. Please make Toby's Foundation part of your charitable giving. Toby's Foundation, Inc. is a non-profit 501(c)(3) organization. Our Federal Tax Identification number is 74-3135217. Your gift is tax deductible to the fullest extent of the law and helps us in our efforts to stop canine epilepsy. Please check with your employer about a matching gifts program. If you would like to make a memorial or honorary gift to support canine epilepsy research, an announcement card can be sent to whomever you specify. Permission is given to post, cross post and share this information. No portion of the text may be changed to alter meaning. Credit should be given to Toby's Foundation AussiE-Update with volume, number and date of the issue.